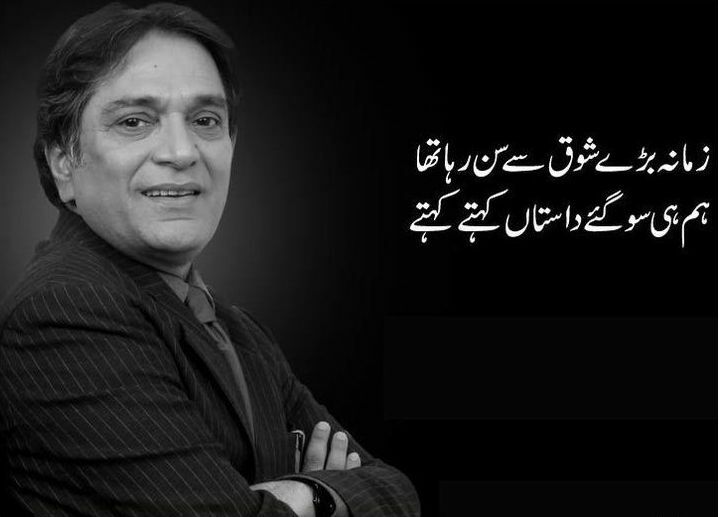 Pakistan has had many comedians, all rounder and multi faced stars in its film / TV and stage history, but none has ever been able to match the class of Moeen Akhtar. Born in 1950 in the city of Karachi, he initially started as a child star in newly established PTV, Moeen quickly rose to the heights of fame and glory. Besides acting, he also started compeering, using his humorist approach and spontaneity. He is everything, a stage actor, comedian, impersonator, host and singer. He is rated among top artists in Pakistan. To the Karachi based audience, especially those who watched stage shows with the Omar Sharif & Moeen Akhtar duo in the mid-eighties, he is a legend. His TV debut was on September 6, 1966, in a variety show held to celebrate first defense day of Pakistan‎. 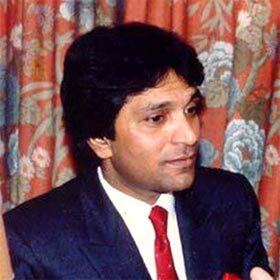 Moeen Akhtar thereafter starred in many television dramas and live comedy events. The TV audience from the 80’s and 90’s still distinctly remembers the trio of Moeen Akhtar, Anwar Maqsood and Bushra Ansari that brought laughter and smile to many a household. The stage shows have simply not been the same since he left the circuit to pursue other aspirations. One of Moeen Akhtar’s most memorable roles was as Rozi, where he cross-dressed and played the counterpart of Dustin Hoffman (from American movie Tootsie (1982). Not to be left behind, Moeen Akhtar also did films (e.g. Taaj Daar) and songs. For some of the uninitiated, the image of Mehdi Hasan engraved on their minds is actually that of impersonating Moeen Akhtar twisting his mouth and rolling his eyes to make the notes come out! In 2005 he started work on talk show Loose Talk, in which he appears as a disguised guest every time and is interviewed humorously by writer Anwar Maqsood. 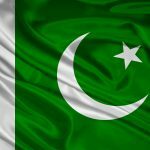 Loose Talk is a show in which Moin Akhtar and Anwar Maqsood discuss real life situations in Pakistan along with a little humor. In an interview, Moeen once remarked, “I want to stay alive in the hearts and minds of the people, even after I am gone.” And no wonder, he is matchless and irreparable since so far despite presence of many comedians and humorists, he stands above all and has a class of his very own – matchless, different and laudable. Moin, who was suffering from heart disease for a long time, finally breathed his last at 6:15 PM on 22 April 2011 in his native city Karachi after suffering a heart attack. It may be a coincidence that during the last one month, three other famous comedians Liaquat Soldier, Mastana and Babbu Baral also died. Moin’s death makes the already melancholy environment more glum and sad. Moin Akhtar was a multi talented actor, comedian, impersonator, host , director, producer and writer. He was the most dynamic and versatile actor that ever entertained its audience in and outside Pakistan for decades. His matchless abilities made him stand tall over many contemporaries of his time and made them envy him.